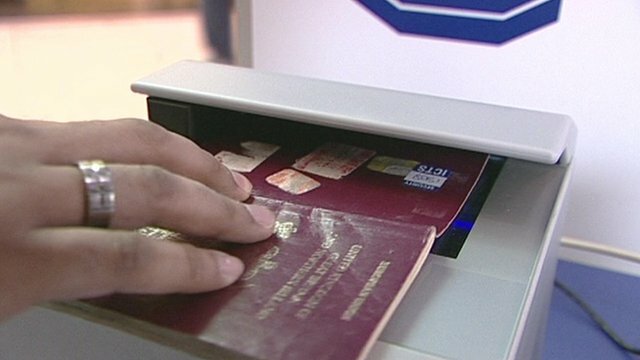 'No proper immigration debate for years' Jump to media player There has been "no proper debate for many, many years" on UK immigration, the BBC's political editor has claimed. Who is setting immigration agenda? 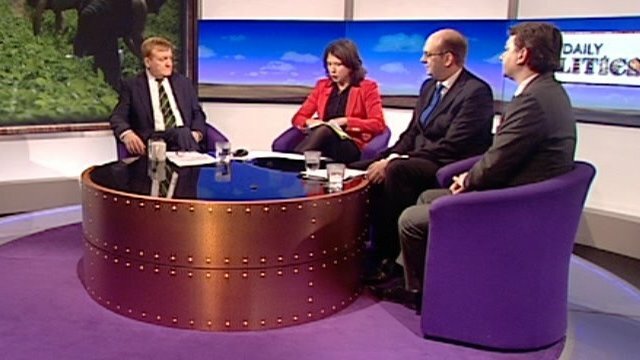 Jump to media player Former Lib Dem leader Charles Kennedy reckoned he probably was out of step with public opinion on immigration, but said politics was about "trying to change public opinion". EU benefit changes 'to start early' Jump to media player New rules on how long EU jobseekers will have to wait to claim benefits are to be brought in early, No 10 has said. Robinson: A lot we already knew about Jump to media player The BBC's political editor gave his reaction to George Osborne's Autumn Statement saying it was a case of "steady as she goes". 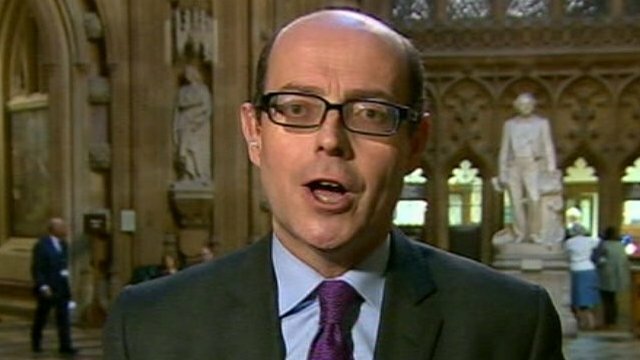 TV journalists caught talking journalese Jump to media player BBC political editor Nick Robinson and his colleagues in print and broadcast journalism explain why certain phrases crop up over and over again - and what they might really mean. Robinson and MPs review PMQs Jump to media player The BBC's political editor looked at living standards as he went back over the exchanges at the final PMQs of 2013. 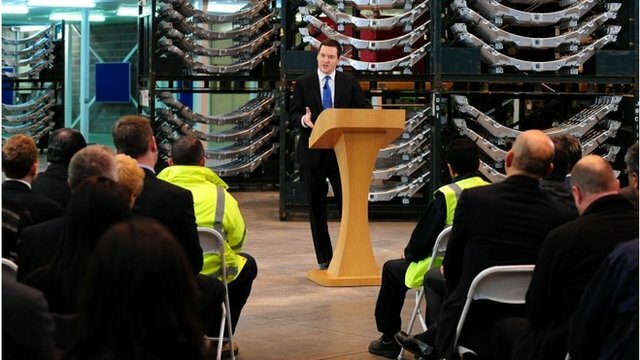 Osborne: £25bn more cuts needed Jump to media player Chancellor George Osborne warns a further £25bn spending cuts will be needed after the next election. 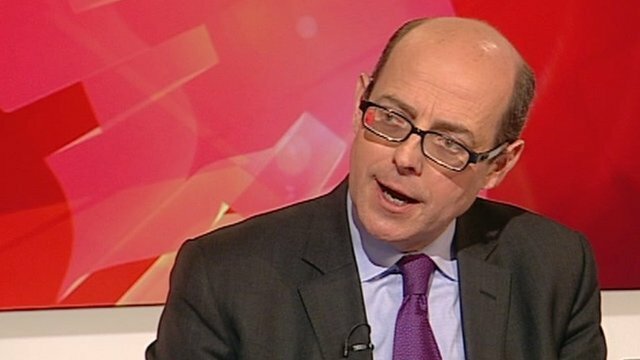 There has been "no proper debate for many, many years" on UK immigration, the BBC's political editor has claimed. 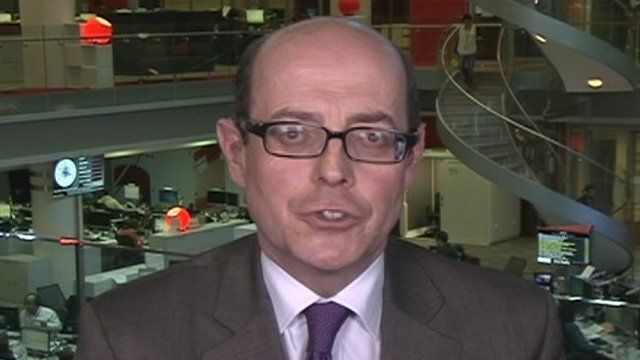 Nick Robinson said neither side of the argument - either for more or less immigration - had been challenged on the consequences of their views, which he reckoned was partly due to Enoch Powell's Rivers of Blood speech in 1968. 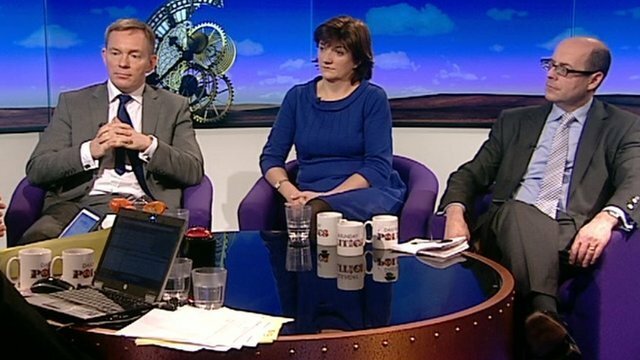 Mr Robinson spoke to Jo Coburn on the Daily Politics ahead of his BBC2 documentary at 21:30 GMT on Tuesday, which will feature Vince Cable, Nigel Farage and "lots of real people" and the presenter working in a pie store. Go to next video: Who is setting immigration agenda?